“Retweeting”, “liking”, and “blogging” may sound like many of the unintelligible words that come out of your teenager’s mouth. However this new jargon is representative of the way the world of marketing is headed. Online marketing isn’t just about banner ads and e-mail campaigns anymore. The world of the web is becoming more social. Building a strong presence with social media is now more important than ever. 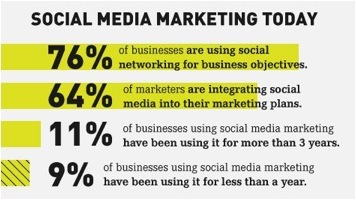 However, social media is relatively new; in fact only 11% of businesses have been practicing social media marketing (SMM) for more than 3 years[i]. If you’re not sure how to use social media for your business, you’re not alone. It can be difficult to define the role of SMM in your company’s marketing plan. 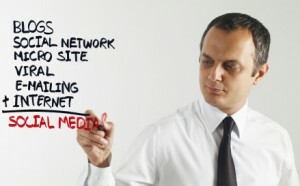 Social Media Marketing (SMM) should not be used as a stand-alone marketing tactic. The key is to align your SMM with other more traditional marketing. Your SMM should amplify your program, not become the program. Although social media is inexpensive, it can’t be the only way to market your business. No matter how often you post to Facebook, there’s a good percentage of people you won’t reach online. Although this newer medium is pushing forward and quickly, other marketing channels are still needed to reach your whole audience. The goal of SMM is always the same: Engage. Think of your social media community as an audience. If you’re not engaging, they won’t care and they’ll get up and leave the show. Social media should be used as a platform to engage with your community, to build relationships, trust and loyalty. Keeping your audience engaged means they’ll stick around and that can help you achieve your business objectives. Giving your customers a platform to engage with your business seems like a great idea until you realize that not all of your customers are happy campers. Marketing convention says that a complainer tells 10 people. Just think if the average Facebook user has 130 friends [ii], and the complainer mentions your company in their status…well you do the math. No matter how good you are, you can’t please everybody. Giving those unhappy customers a public place to air their grievances can be dangerous if you don’t monitor your social networking sites vigilantly. It’s important to address the complaints quickly and follow up with the customer to make sure they are satisfied. With other online marketing strategies, like SEM or SEO, it is easy to track your results and see the Return on Investment (ROI). SMM results are harder to measure because the value of SMM isn’t a numbers game. Friends, followers, and likes don’t equate to dollars and cents. This doesn’t mean that it isn’t valuable. SMM is a new approach to marketing and so its application and effectiveness needs to be thought of in a new way. It’s not how much; it’s how much of a difference. Forrester recommends that businesses look at the big picture regarding their SMM investment. 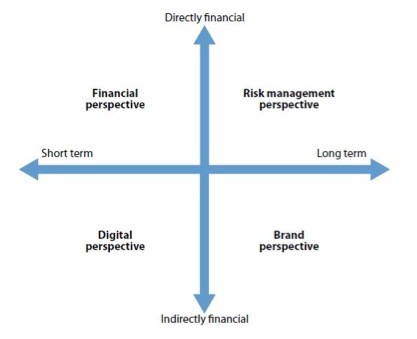 [iii] Social media creates value that can lead to financial results in the future. The major benefit of SMM is the relationship you build with your community. However, a good SMM program has a lot of other benefits! Firstly, social networking makes it so easy to share positive experiences customers have had with your business. It’s easy to boast about your own business, but nothing reflects better on a company than glowing customer reviews. SMM is also great for SEO! Blog posts, tweets, uploads and updates all have the potential to be shared. Sharing means links and the more links you have the better your search ranking. Lastly, social media allows businesses to actively monitor their brand and reputation. There are hundreds of social networking sites that pop up online each day. If you don’t have any social network profiles for your business yet, the best place to start is Facebook. With 900 million active users, you’re likely to find your customers there. Interact with them and start a conversation. Twitter is great for short updates and checking out who’s talking about your business. Create a blog to give customers a peek behind the scenes and get to know your brand. While Facebook, Twitter, and Blogs are useful social tools, there are a few niche sites to take advantage of as well, for example for the remodeling industry. Houzz is a site for home design that hosts articles, photos and product recommendations. Both homeowners and design professionals are able to upload and share content centered on design and remodeling. Guild Quality isn’t a social site, but it’s worth mentioning because of their social capabilities. It’s a third party review site for remodelers and builders that lets you to share customer experiences with your Twitter and Facebook accounts. SMM is still new and keeping up can be tricky if you’re not sure how to make it work for your business. Keep in mind that the most important thing you can do with your SMM plan is to engage your audience. Get them talking to you, to each other, and to their friends! This article was written by Amanda G. from Erie Construction. Social Media is being more and more seriously used in the overall online marketing plan of all businesses, small, medium or large. I agree that it must be “part” of the whole picture, but search is still there and it matters a lot. Blogging without search isn’t complete. Copywriting without search is incomplete and better social marketing helps better search engine visibility. So, these too seem to be essential parts of the same picture. I totally agree with you Rahman, Search is definitely an important part of the marketing picture. Like Amanda wrote in this article, Social Media should never be a standalone marketing solution. It should work together with other more traditional or search marketing components. Totally agree, the key of successful communication is to be consistent and coherent. A great post overall. The only thing I would disagree with is your statement about ROI – and this is something that I think a lot of people miss in the big mix of information. Social Media Investment is actually measurable. It is measurable by the money you pay the person (or yourself) who carries out your social media marketing. If you do Facebook or Twitter advertising then those dollars and cents also come into play. Social Media is free and technically the numbers are free, but the time that is spent using social media is not free – and that is where I fear a lot of companies are going to find themselves in trouble. People are spending money paying their staff but are still saying that there is no investment in social media against which a return can be measured. The Social Media Today numbers are interesting…only 11% of companies have been using social media for over 3 years but only 9% have been using social media for less than a year. Sounds like the sweet spot may be two years, so starting around 2009, 2010, the worst of the recession. There is something to that.